Union Bank of India Admit Card 2019: Below are the admit cards published by Union Bank of India - Union Bank of India (UBI) / ibpsonline.ibps.in. The recent Admit Card issued for the recruitment drive is Armed Guards Admit Card 2019. Union Bank of India Armed Guards Admit Card 2019: Union Bank of India (UBI) has issued the Admit Card on 06 Mar 2019 for UBI Armed Guards Exam 2019 which is scheduled to be held on 17 Mar 2019. 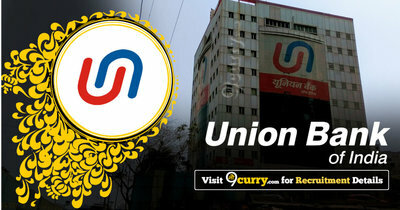 Union Bank of India Security Guard PET Admit Card 2019: Union Bank of India (UBI) has issued the Admit Card on 05 Mar 2019 for Union Bank of India Security Guard PET Exam 2019. Union Bank of India Specialist Officer (Forex & Treasury) Call Letter 2018: Union Bank of India has issued the Admit Card on 29 Jan 2018 for Specialist Officer (Forex & Treasury) Exam 2018 which is scheduled to be held on 09 Feb 2018. Union Bank of India Specialist Officer Call Letter 2017: Union Bank of India has issued the Admit Card on 29 Dec 2017 for the Specialist Officer-Credit Personal Interview which is scheduled to be held from 07 Jan 2018 to 13 Jan 2018.